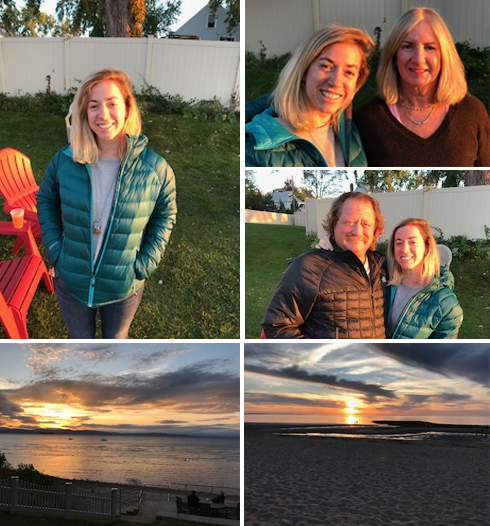 As you’ve seen from some of our newsletters, our family — Michael, Katie, Joanne, and I — love to go visit our youngest daughter, Meg, in Burlington, Vermont. Why do we love to go there so much? First, we really miss Meg. She is working tirelessly on a second college degree in graphic design at Champlain College. We’re happy to say she has really found her calling in life. Second, life in Vermont is so different from the South Shore. It’s a startling contrast. If you’ve never been to Burlington, do yourself a favor and go. Don’t blame me if you like it so much that you want to move there. 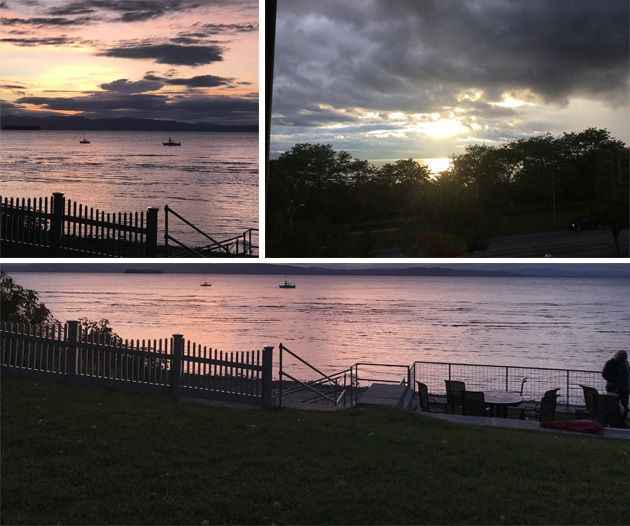 You can see what I mean — look at those sunset photos and views of Lake Champlain!